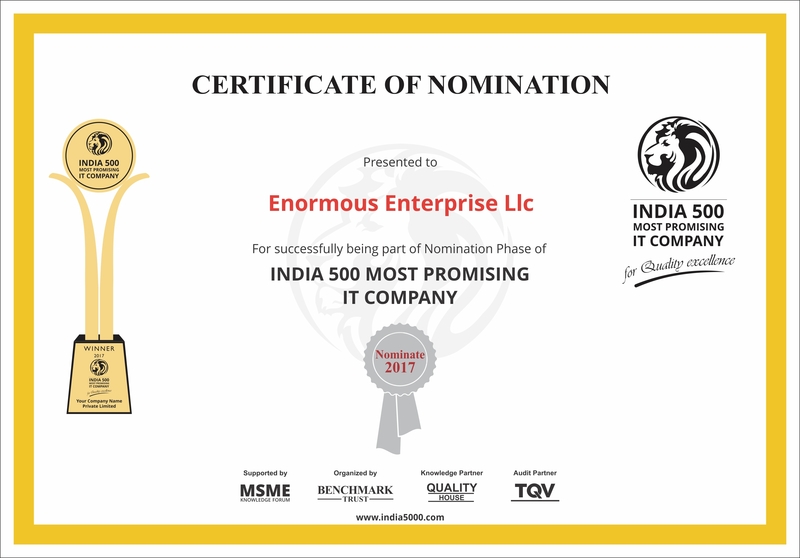 Enormous Enterprise LLC is nominated to India’s 500 Most Promising Information Technology company. • Critically evaluate information gathered from multiple sources, reconcile conflicts, decompose high-level information into details and abstract up from low-level information to a general understanding to discern user needs and key requirements. Enormous Enterprise LLC looking for a Senior Ruby on Rails Engineer to join our client in Mountain View, CA for a 6 Month Contract. The ideal candidate will have significant experience in developing scalable applications. We’re looking for someone who is interested in building social networking and messaging solutions. Proven ability to fashion robust scalable solutions that can manage large sets of groups and communities. In addition to technical experience, this person must possess initiative to ask questions which leads to resolving issues. The collaborative process is highly valued on the SBS team. Analyze, design, develop and maintain .NET 2.0 – 4.6 applications that service internal and external vendor and client systems aligning with the business needs. Create detailed specification documents based on business requirements. Develop quick prototypes for business stakeholder verification to use as a foundation for design/development solutions. Create and execute testing plans and procedures. Automate processes using software tools and scripts. Manage system enhancements and upgrades. Participate in latest technology research applicable to meet new business challenges. Provide guidance, mentoring, education, and leadership on how to effectively create and support the applications. Follow best practices for technology and business level technology implementation. Conduct system architecture reviews to guarantee corporate alignment. Conduct code level and other systems quality assurance tests and procedures. Experience with enterprise architecture tools such as UML, MS Visual Studio.Net, source control, defect tracking, integration, and workflow tools. The above information is intended to describe the most important aspects of the job. It is not intended to be construed as an exhaustive list of all responsibilities, duties, and skills required performing the work. Other duties/functions may be added to the job, as business needs dictate. Mid-level software test engineer to work with a high performing Agile development team that builds integration points between Vin and third party vendors for the benefit of car dealerships using our CRM. Someone who knows what to do and is outcome focused. Someone who doesn’t require much direction to assess the testing needs of the team and deliver solutions for those needs. 9+ years experience is must. Someone that can help with migration and upgrade recommendations. Customer is looking for only Green Card or Citizens for this role.